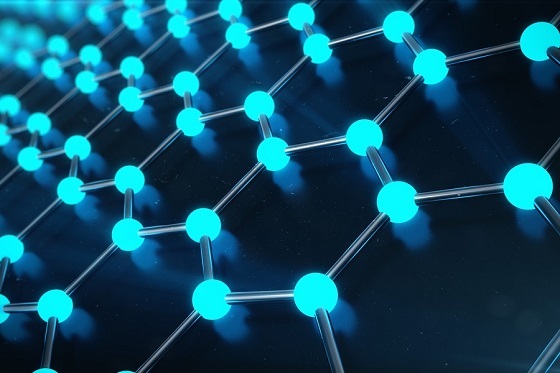 It seems like every few months, scientists discover some brand new property about the miracle substance graphene, which dramatically increases its value to mankind, and makes it even more useful commercially. In a very recent paper published in Nature Nanotechnology, Marcelo Lozada-Hidalgo announced that he and a team of researchers at the University of Manchester had produced a graphene device which is capable of making photodetectors 100,000 times more responsive than those on the commercial market today. The device itself was comprised simply of a single layer of graphene enhanced with nanoparticles of platinum, and the aim of the research was to determine whether or not a light beam could be effective in triggering proton transport through graphene, if additional light-sensitive materials were added in to the mix. Photons from the light beams were used to excite the graphene’s electrons in the area of the platinum nanoparticles, making those electrons extremely reactive to protons. 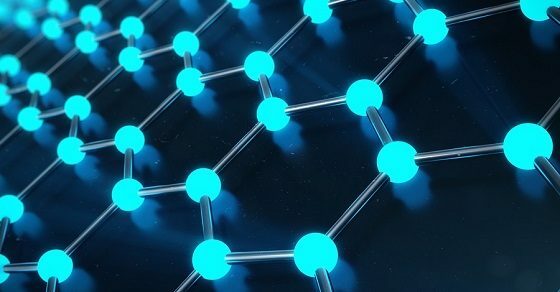 The surprising results of the testing indicated that graphene was capable of a tremendous response all on its own, before any other materials were even added. The process itself is not altogether different from the current methods used in semiconductor photodetectors, except for one major difference – it relies on proton transport, rather than electron transport. The reason this is a crucial point is that it has the potential to lead to the development of all kinds of new photodetector architectures, which might possibly include brand new capabilities. When compared to today’s commercial photodetectors, the graphene device matches up very favorably, in terms of its performance in these three key areas. Response time is roughly equivalent with the commercially available devices today, although it is expected that this can be improved in the future. Noise equivalent power is also comparable or slightly better for the graphene version of photodetectors. The real difference in performance though, lies in the area of photoresponsivity, where the graphene device shows 100,000 times greater photoresponsivity than the market versions today. The U.M. research team is also quick to point out that none of these characteristics were even optimized during the testing, so there is considerable room for enhancement in the future. For instance, the addition of other photosensitive materials like quantum dots, could send photoresponsivity off the charts in the future. Besides the stunning new use of graphene detailed above, this wonder substance has already been patented for use on at least 15,000 other products or applications, for instance on smartphone displays, stretchable electronics, advanced solar cells, medical devices, sensors, batteries, and water desalination membranes. The highest quality graphene produced today is made by a process called chemical vapor deposition (CVD), and this CVD graphene is distributed by the highly respected manufacturer, Grolltex. Graphene sheets are one million times thinner than a sheet of paper, and are considered to be two-dimensional for that reason. Still however, they are 200 times stronger than steel, owing to their interlocking carbon latticework structure. It is one of the most conductive substances known to man, and yet is an incredibly strong natural barrier. The properties exhibited by this remarkable substance have only been explored since 2004, when it was ‘rediscovered’ by scientists at the University of Manchester. Undoubtedly, even greater discoveries will be made about this incredible material, and even more uses will be found for it. To learn about our graphene sheets for sale, contact us today.